We don’t consider ourselves as being from a single city or country, but from the world. Avci Architects was established in 1989, by Selcuk Avci and with offices in London and Istanbul. 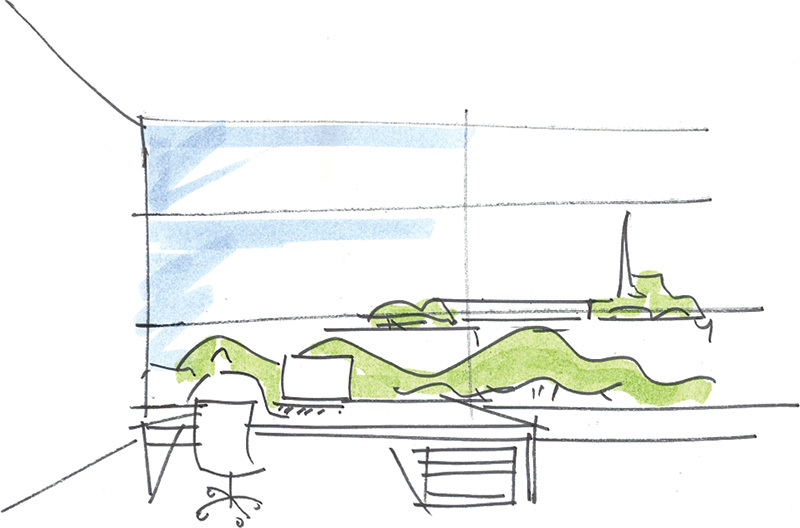 The practice has always placed collaborative working at the top of their agenda, its founder being nurtured deeply in the ethos of integrated design teamwork. The creative process of every project is a shared experience amongst its team members, clients and stakeholders. The practice has been recognised with awards, both national and international, throughout its history. We were recently awarded the first prize in a competition to design the HQ of the Turkish Contractor’s Association. Our holistic approach to the design of this prominent building led to a record score in our region under LEED Platinum certification. This was achieved through our integrated design approach to the whole project, and the development of innovative passive and active solar technologies, which will be the first of their kind in Turkey. The practice has been consistently at the forefront of sustainable design, and was selected as one of the Architecture Foundation’s Britain’s Best Young Architectural Practices of the Year in 2001. The last few decades have witnessed many changes in public attitudes towards the environment and ecology, and there have been great leaps forward in methods of reducing energy consumption, while the understanding and acceptance of sustainability as a driver has increased greatly. Our design approach lies in the principle of holistic thinking. In each and every project, we start by thinking beyond architecture to find the core story and DNA to shape our process. For every scale of project we undertake, we search to find the answer to what makes a great space. We aim to create new experiences and find new dimensions in the environments we are designing. Our design philosophy is based on collaborative thinking, and our relationships with the world’s best doers and thinkers are reflected in our projects. We are experienced in productively and creatively bringing together international expertise from various disciplines. For this reason we have formed collaborative international partnerships with design companies, which through our continual dialogue keeps us at the cutting edge of design thinking. Our holistic approach is the essential core to our philosophy. We believe that truly sustainable solutions can only result if the parts of the system are understood in relation to their impact on the whole. We do not see sustainability as a feel-good buzz word, but rather as a deliverable practical outcome when it is approached with the proper mental framework and a wide knowledge base. 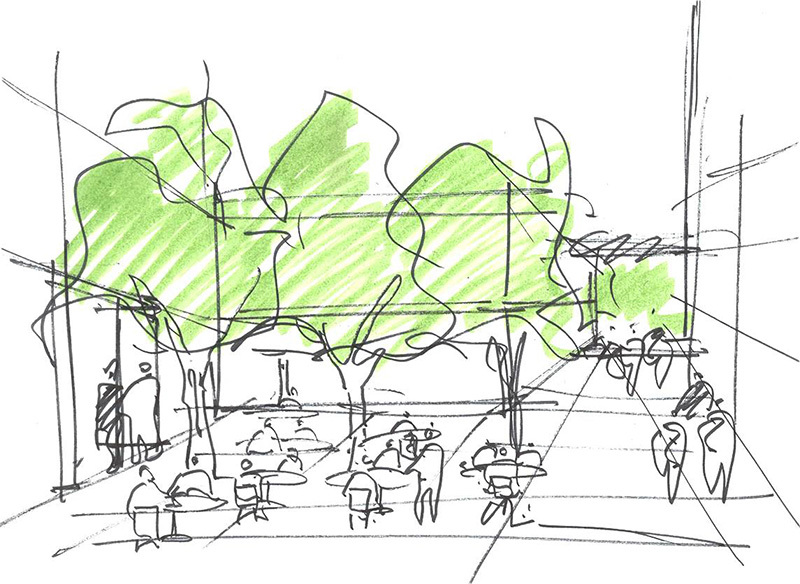 We seek fully integrated perspectives that build complete and sustainable solutions. As a practice we establish the performance of sustainable actions on three basic foundations during all of our thinking processes. 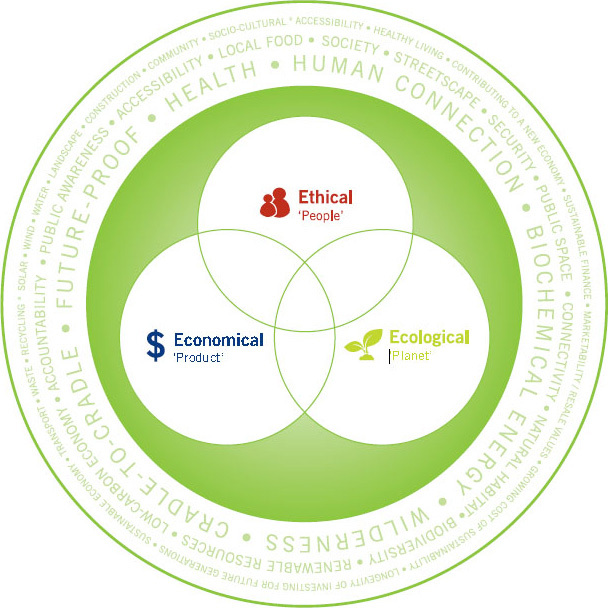 These we have come to define as the principles of the 3 E’s in which almost all of the remaining layers exist that focus us towards achieving a sustainable result. Ethics defines our actions in terms of how we behave towards society, and our relation to people, different cultures, and ways of living, ethical consumerism, and our relationship to community. 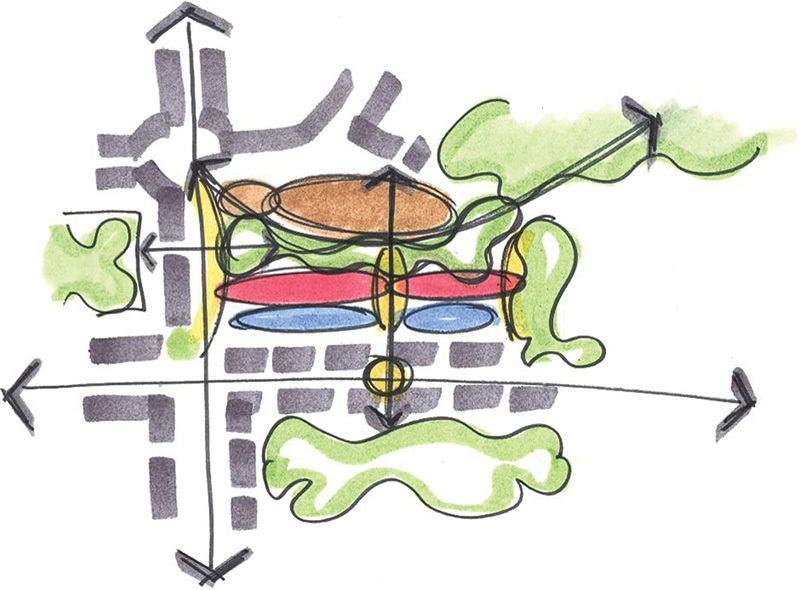 This is our response to the “Genius Loci”, or the characteristics of “Place”. Ecology is about the planet that we live in, the organism that we are a part of, and the need to support that organism with every action that we take so that it continues to support us. When we design, our primary objective should be to minimise our negative impact and enhance our world wherever possible. Economy is about the equitability, and viability of our actions when we build in the environment, or when we invest. Our actions need to last, we need to make investments, which have longevity so that these investments go on and continue to support future generations. For us real sustainability is not an optional service or ‘extra’ that can simply be bolted on to a product. It is a way of thinking that touches every idea from the core analysis of the site through to the facility management. We seek out clients with whom we can collectively push the sustainability agenda, and this has always been a foundation of our work. We have an international reputation for our holistic approach to sustainability and environmental design, and we work with the best environmental engineers to produce environments that are consistently at the forefront of current thinking. We bring a strong environmental agenda to all our projects whether or not it is written into the client’s brief, and often achieve improvements without any additional costs. Avci Architects has a 24 year track record in genuine sustainability in projects and our work in this field has been recognised with several significant awards. Selcuk Avci has been consistently involved in the forefront of energy efficient design and has developed a reputation for pushing forward sustainability issues in all arenas. Buildings are the direct result of human relationships and reflect the quality of thought and engagement applied during the design and development process. 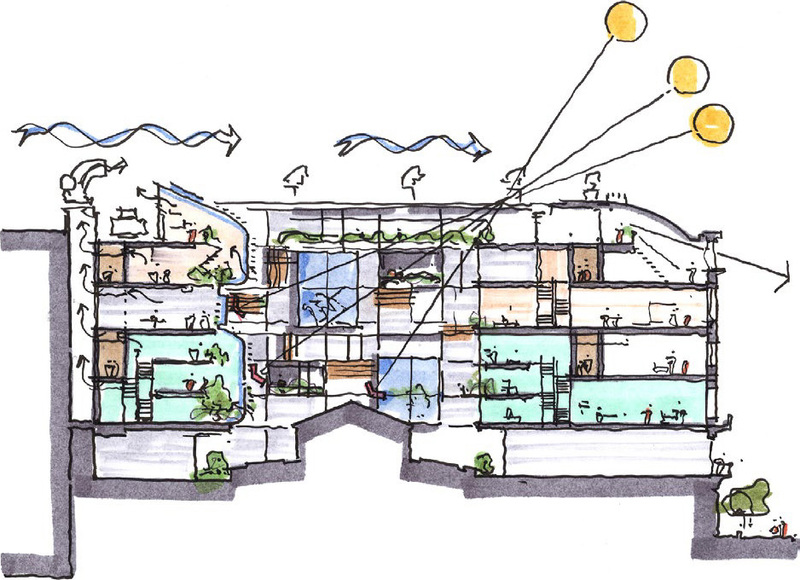 Every building placed in a different location; geographically, climatically, or culturally is also by definition different, and needs to be responsive to those characteristics. The application of the principles of the 3 E’s ensures that these differences continue to be respected. Our approach respects buildings, landscape, social and cultural assets and we have broad experience in reconciling the various pressures which come to bear on the historic environment.